The Chicago Federal Center is another example of the incredible architectural legacy that Mies van der Rohe left the city of Chicago. In his book Chicago: In and Around the Loop, Walking Tours of Architecture and History, Gerard Wolfe refers to the Federal Center as "the ultimate expression of the second Chicago school of architecture." 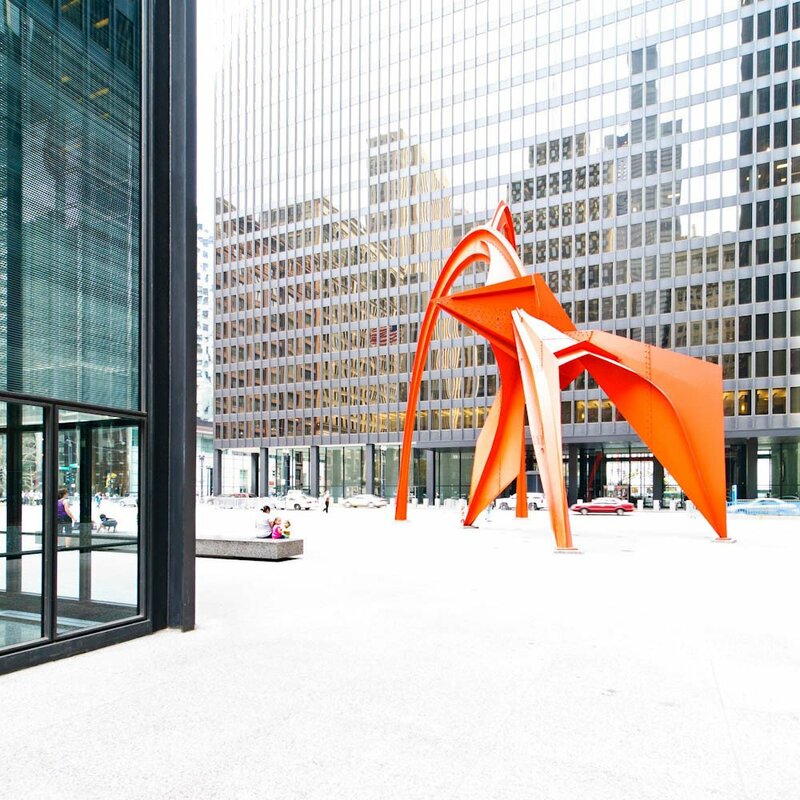 Alexander Calder’s striking ‘Flamingo’ sculpture complements the linear complex.